Madam Curie is one of the most revered female physicists and is well known for her discovery of several radioactive metals including Radium and Polonium. Together with her husband, she studied the x-rays they emitted. She discovered that the harmful rays could kill tumors. Her popularity grew along with her discoveries and peaked by the end of the First World War. At that time, Madam Curie was one of the most famous names worldwide. The discovery of radium will easily be among the top 20th century inventions, and is arguably one of the inventons that changed the world forever. Born on November 7th of 1867 in a Polish town known as Warsaw, Marie grew up with a strong academic background with both parents being teachers and her first lessons in physics and chemistry coming from her father. She amazed people with her incredible memory and knew how to read by age four. Her thirst for knowledge and the dream of becoming a scientist had numerous hurdles along the way. She came from a poor family where paying college fees for her and her sister was quite impossible. She decided to become a governess and helped to pay for her sister’s fees while she studies in Paris France. After her sister, Bronya had completed her degree she helped Marie with her education. Marie was admitted at the Sorbonne University in Paris in 1891. Being French illiterate and having stayed away from her studies for six years acted against her favor, but Marie’s determination drove her through. 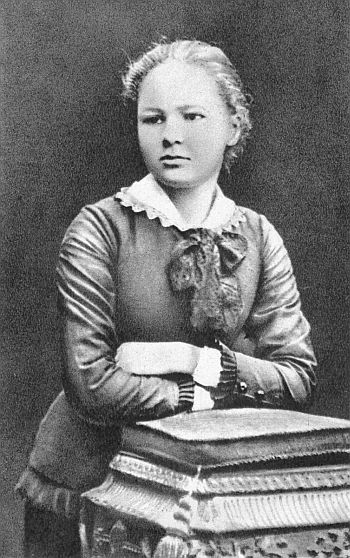 She took a degree in physics in the year 1893, a move that saw her head the list of candidates, and the following year, she came second in a degree in mathematics. She met and married her husband and future co-worker, Pierre Curie. This was in the year 1894. They married in 1895 and it was this collaboration that led to most of her inventions. Her life in France exposed her to great names in physics and chemistry. In 1896, Henri Becquerel, a scientist, discovered that uranium salts emitted rays similar to x-rays in terms of penetrating power. He demonstrated that this radiation did not depend on an external energy source, but arose from the uranium itself. This was practically the discovery of radioactivity. Curie chose uranium rays as her base for a thesis. Years earlier, Pierre and his brother had invented the electrometer, a device used to measure electrical charge. Using this device, she discovered that the uranium rays caused electric conduction in the air around a sample. With this technique, her first discovery was that the activity within and around the uranium compound depended solely on the uranium quantity in play and had come from the atom itself. Scientifically, this was the most important piece of work she had successfully conducted. Curie’s studies included pitchblende and torbernite, two uranium minerals which were four times and two times more active than uranium respectively. Her conclusion was that if her initial results on uranium quantity in relation to its activity were correct, then the two must have contained minute quantities of some other substance far more active than uranium. In her search for other radioactive materials apart from uranium, Curie found out that an element called thorium was also radioactive. She promptly published her discoveries and established her priorities. Her paper gave a simple description and account of her work and was presented at the Académie des Sciences on April 12th 1898. Pierre was quite intrigued by her achievements that de decided to drop his research work on crystals to join her in her ventures. As they were not aware of the harmful effect of exposure to radiation to their health, both had no idea what price they would pay with their health. In July the same year, the couple published a paper to announce the discovery of a new element that they named “polonium “. This was in honor of Curie’s land, Poland. On 26th December of the same year, the couple announced the existence of another element that they named “Radium” for its intense radioactivity. Naturally, Pitchblende is a complex element. The separation of its constituents had proved to be a laborious and tiring task for the Curies. Polonium chemically resembles an element called bismuth, and it was the only bismuth-like material in the ore specimen. Radium on the other hand is closely chemically related to barium, both of which are found in pitchblende. This made the task quite complicated, and finding substantial quantities that were not contaminated by with barium were still out of reach. They decided to take on the task of separating out the radium salt from pitchblende using a process known as Differential Crystallization. Both husband and wife managed to separate one tenth of a gram of radium from a tone of pitchblende in the year 1902. Tragedy struck in 1906, when Mr. Pierre Currie was involved in an accident and was killed by a horse drawn vehicle. This was heavy on Marie, but she gathered strength and went on with her work. By 1910, Marie had successfully isolated a pure radium metal. Further experimentation on the metal revealed that one mole of radium has a mass of 226 grams. These findings lied more towards chemistry than physics and she was later awarded a Nobel Prize in 1911. In an unexpected move of philanthropy, Marie refrained from patenting the process of radium separation in an aim of generally benefiting the scientific community. Overall, Marie Curie’s inventions proved to be of considerable benefit to mankind. She coined the term “Radioactivity” and found that radiation can kill normal human cells. This was a fact, she pointed out, that could be used for a good course as it can be manipulated to cure cancer by destroying the tumor cells. She brought forth the idea of the X-ray machines and designed them for the medical world. Mobile X-ray machines were also designed by her and these proved to be of considerable assistance when the war broke out. In fact, she was at the war front providing the necessary help to soldiers. Madam Marie Curie, along with Pierre Curie and Henri Becquerel, was awarded a Nobel Peace Prize in Physics by the Royal Swedish Academy of Sciences for their extra ordinary contribution in joint researches on radiation phenomenon. She was also a mother to two daughters, Irene and Eve Curie. Marie Curie is the first woman to have received a Nobel Peace prize and the first person to win and share a Nobel Peace prize. The great inventions of Madam Marie Curie could have fetched her substantial fortunes, which she rightfully deserved. But she never patented any of them. Instead, she humbly gave them to science for mankind to benefit in all ways possible. She visited Poland in 1934 for the last time, and a few months later she died on July 4th 1934 at the Sancellemoz Sanatorium in Passy eastern France. This was from aplastic anemia that she contracted from the lengthened exposure to radiation. She continuously carried test tubes that contained radioactive isotopes and had them in her desk drawer. Because of the high levels of radioactivity, her papers from the late 1800’s are still considered too poisonous to handle. In fact, almost everything that she worked are stored in lead lined boxes, since they are considered radioactive!